Your IP Address Can Change without Notice. Should You Be Concerned? It's the difference between a dynamic vs. static IP address. When you sign up with an Internet Service Provider you will either end up with a static IP address or a dynamic IP address. What's the difference between the two? 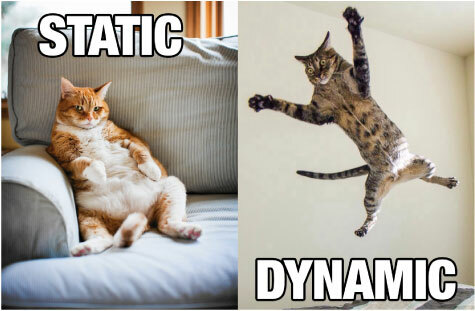 Dynamic means "constantly changing." The prefix dyna means power; however, dynamic IP addresses aren't more powerful, but they can change (or be changed). Most IP addresses assigned today by Internet Service Providers are dynamic IP addresses. It's more cost effective for the ISP and you. End of story. Well, more or less. If you read on, you'll learn about the difference between a dynamic IP vs. static IP, in non-technical language you can understand. Maybe you're asking yourself which one should you choose? 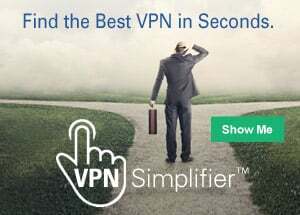 For most of us, we simply need a reliable connection and our Internet Service Providers deliver a Dynamic IP address to us. It works for them. It works for us. Sure, the dynamic IP address can change from time to time, but even when it does, you may never notice. "What kind of IP address do I have?" And by now, you probably are curious to know if it's static or dynamic. You're on the right website to find out. Go to our home page and box that says, "Your IP Details." At the bottom of the box you'll see the words "Show Me More About My IP." Click that box and you'll go right to an informative page that will tell you. In fact, you'll get all the details on your IP address, including whether it's a dynamic or static. Now, if you're in the dark about what an IP address actually is, this is all nonsense to you. If that's the case, let me fill in the gaps. An IP address (the IPv4 version, which is the most common) consists of a string of numbers, separated by periods (dots). Each IP address is separated into four segments by three periods. Haven't you ever marveled at how the Internet knows how to get information directly to your computer? It's not magic: your IP address is key (along with many other factors). For the purposes of this article, we'll put you at home on your computer and talk about the IP address you likely use most often. Is your IP address static? If your IP address at home is static, it means that it will remain the same every time you connect...from home. Just keep in mind that an IP address doesn't travel with you. If you took your laptop to a coffee shop and used their wireless network, that IP address would be different. But at home, it would always be the same if it's the static type. But I can almost hear you asking, "How can I get a static IP address?" Static IP addresses cost extra and are on request only. Generally, a static IP address is assigned by request and for a fee by an IT administrator at work, or by you at home. Businesses are better suited for it than residences. It's also better for dedicated services such as mail, FTP and web servers. It's good for creating or hosting computer servers. It makes it easier for geolocation services to accurately assess where you are. Because of these advantages, it shouldn't be a surprise to learn that it costs more to get one. Of course, it's not as easy as all that. There's more involved. That's because it takes some good technical skills to set it up. And remember, if for some reason you wanted a different IP address at home, you wouldn't be able to get one—although there are ways to "mask" any IP address using a Virtual Private Network (VPN). With a Dynamic IP address, you wait to see what you get. With a Static IP you reserve the same (maybe better) IP address every time. Is your IP address dynamic? 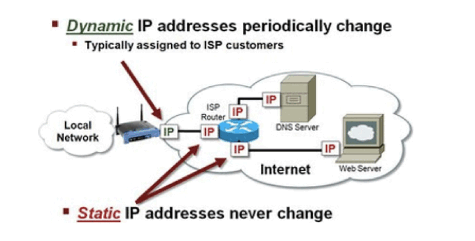 You'll read most everywhere that a dynamic IP address can change "at any time." True, but not likely. 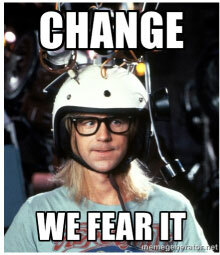 The fact is, even if you have a dynamic IP address it's possible that it won't change for months on end. And if it does, it's really not a big deal. It doesn't cost you anything extra. It's carefree, automatic and reliable with very little work on your end. Geolocation might be less accurate, if that matters to you. For your ISP, it's the most efficient use of IP addresses. The "dynamic" part comes from something called DHCP, or Dynamic Host Control Protocol. It all happens in the background. Technically, your computer or device "leases" (at no extra charge) an IP address to get connected. 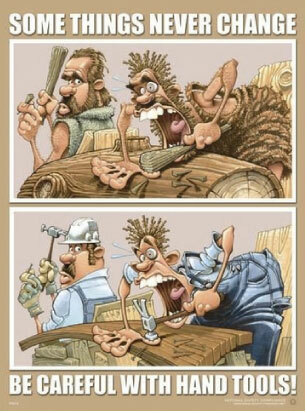 Ok, there are some drawbacks. It's possible that your upload and download speeds would be faster if you had a static IP address, but you'll likely get used to the service and speeds you get. Besides, you could possibly increase your speed with a plan upgrade. Also, you couldn't set up a reliable server with a changeable IP address. But most of us don't care about that. As you can see, a dynamic IP address is the "standard" for most Internet connections. Static IP addresses are requested by people who want more control over their connection—along with more capabilities. Chances are that's not you. If you're not planning to host websites or setup servers, your reliable and sometimes changing dynamic IP address should be just fine. So, is it better to have, a static IP or dynamic IP? It doesn't matter all that much. You're connected to the Internet with either one. And along with that connection, anyone, who wants to, can "capture" your IP address and look up the same details you saw above. And they can trace it to your location or monitor your IP online behavior. That is, unless you want to do something about it. How to keep your IP address private. While it's true your Internet Service Provider provides your IP address, you can control who actually sees it. There are ways you can temporarily change or hide it. Using a free Wi-Fi hotspot will do it, or using the Tor browser. Better still, there is a way to hide it on demand, whenever you want...whether you're at home, at a coffee bar, or even at an airport or hotel in another country. It involves using one of the best and simplest innovations you can use to get more privacy and anonymity. It's called a VPN, for Virtual Private Network. And in addition to hiding your IP address, a VPN offers other privacy and browsing benefits you never dreamed of. Go here now to learn all about VPNs and how to protect yourself online.